It’s day two down at the Charlotte Motor Speedway and MMD and the AmericanMuscle crew are there to catch all the action, and make a few waves themselves. 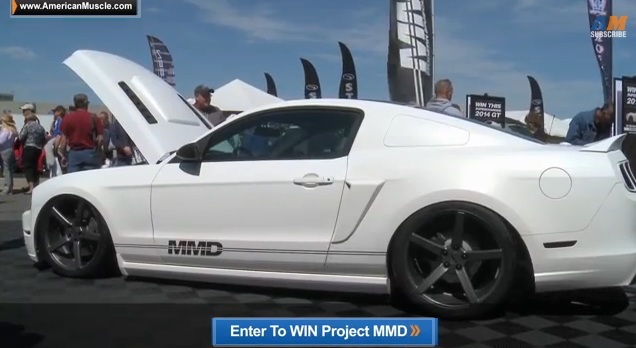 MMD has announced they’ll be giving away project MMD—Muscle Mustangs & Fast Ford’s May 2014 cover car–at AmericanMuscle’s annual car show that’s being held on Sunday, August 16th at Maple Grove Raceway. Nice post. As a fellow blogger ( http://www.musclecars60s.com ) I can definitely appreciate old and new mustangs. Happy 50th.